Mücke Motorsport’s Felix Rosenqvist secured double pole for the FIA European Formula 3 Championship finale at the Hockenheimring this afternoon. The Swede pipped series leader Prema Powerteam’s Daniel Juncadella to the peak, while Pascal Wehrlein (also Mücke) and Alex Lynn (Fortec) trailed on the second row. Rosenqvist was a prominent figure throughout qualifying, from setting the fastest time on his first initial run (1:34.730) to bringing that down to 1:34.047 as the clock counted down. It left Rosenqvist with just under our-tenths of an advantage as the chequered waved in the stilled air. Behind Rosenqvist, the order altered on an almost minute-by-minute basis, as Juncadella, Wehrlein and Lynn battled with Raffaele Marciello, Carlos Sainz Jr and Tom Blomqvist for the second front row spot. Despite cutting a fast mid-session run short, Juncadella charged to the second position early on; a trick he repeated several times during qualifying as the track picked up pace. Wehrlein jumped up to 3rd late on, before breaking his front wing over the Hockenheimring’s jagged sausage kerbs in the final minutes. Lynn crept into the fight as the session drew to a close, but the Fortec runner could do no better than 4th overall. Sainz Jr and Lucas Auer filled out the third row, ahead of Blomqvist (7th) and Marciello (8th). 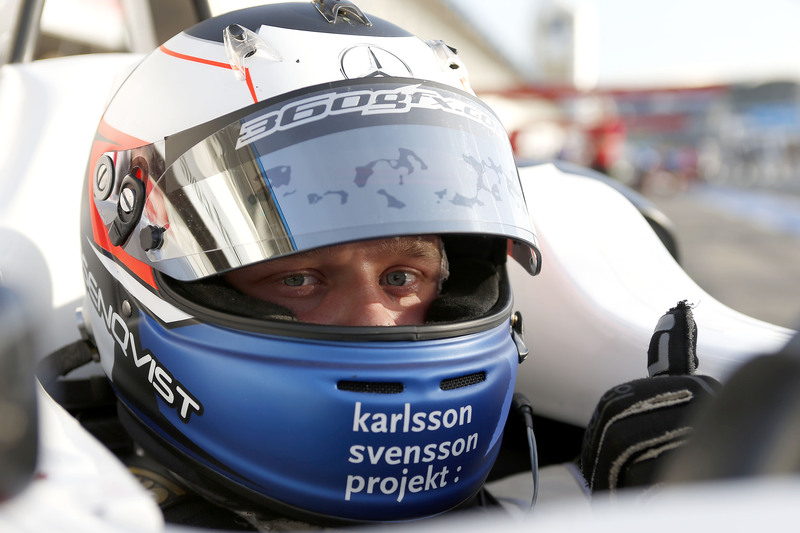 Rosenqvist garnered pole for the opening weekend’s race, when his second-fastest time was also four-tenths clear of the next fastest Juncadella. Wehrlein and Marciello fill out the second row, ahead of Sainz Jr and Auer, while Emil Bernstorff climbed up to 7th position. Lynn will start 8th, after pipping Blomqvist and Felix Serrralles.